Selling Your Real Estate In Brentwood, Beverly Hills, Bel Air, Holmby Hills, Malibu, and Pacific Palisades. The Keller Williams Realty name is synonymous with quality and unparalleled success in global Real Estate representation with unlimited resources at their disposal. Michael Rodgers and The Rodgers Group at Keller Williams Realty utilize those resources and more, each and everyday when marketing their client's properties for sale. Our goal is to showcase your property in media venues that expose it to the greatest number of potential buyers. We position your property so it’s seen by buyers interested in purchasing a home, and ready to buy. With nearly two decades of experience in the Los Angeles and West Los Angeles real estate market, we employ the most effective types of media to market your home. This, combined with extensive studies and industry research, allows us to advertise your property where it’s most likely to be seen by potential buyers anywhere in the world. Our marketing program generates generous buyer interest and scheduled showings, and result in an average of 30,000 consumer hits per month on the Prudential.com website. Comprehensive listing with photos in MLS systems and websites locally, nationally and internationally. Custom signs for broker caravans and open houses — this brings more buyers to your property. Regular appearances in our full-page Saturday Los Angeles Times ads. Custom full-color “Just Listed” postcards sent to residents in neighboring areas. Custom full-color brochures and/or flyers at open houses for interested buyers and brokers with qualified buyers. We have a comprehensive direct email program to market your property to potential buyers. We send out targeted, custom-designed emails including broker and buyer newsletters, new listing announcements, price reduction announcements and open house schedules. 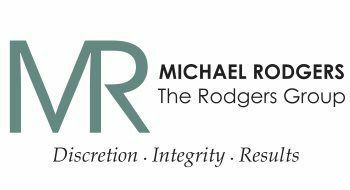 Michael Rodgers private client list : Over 2,000 local investors and industry leaders : Over 7,000 top local, national and international real estate agents and brokers. In addition, Michael Rodgers is personally connected to millions of potential buyers via 65 business and personal networking sites. We’ve optimized our presence on these sites to draw colleagues and business professionals to our own website to get your property in front of as many people as possible. Michael Rodgers will personally present your property at the monthly Preview Estates meeting. This meeting brings together 200 of the top high-end agents representing properties in Malibu, Bel Air, Brentwood, Beverly Hills, Holmby Hills, Pacific Palisades and Los Angeles. Your property will be featured in our own custom bi-monthly email newsletter, which is delivered to Michael Rodgers private client list comprised of approximately 1000 individuals including attorneys, surgeons, CEOs, CFOs, captains of industry, celebrities, entertainers and sports personalities, most of whom he has previously represented. It will also be featured in our regular email updates to over 5,000 local agents and brokers. All new listings, price reductions and sales are advertised to top area brokers via a personalized email from Michael Rodgers to their personal email addresses on a regular basis. In addition, as a client of Michael Rodgers and The Rodgers Group at Keller Williams Realty you'll get a weekly report from us via email. These custom-made reports include current active, pending and sold listings comparable to your property, a log of all showings and open houses for the week including buyer and agent feedback, a list of recent print ads featuring your home, and the breakdown of the week's web hits for your property. As a highly qualified experienced professional I know how to handle every aspect of the sales process - from strategically marketing and showcasing your home to making sure everything's signed, sealed and delivered by the closing date. Providing you with comprehensive, high-quality listing service is my top priority. So when you decide to sell your home, please contact me right away. Let's get started!